What will happen to my Illinois license? Drivers arrested for DUI or drunk driving in the state of Illinois and who plead guilty to the DUI charges may have their drivers license suspended for a minimum of one year. This can also be true if their DUI arrest was in another state, assuming that state notified the DMV in Illinois. We recently had a driver ask us what would happen to his license suspension if he was about to have his license reinstated after finishing his DUI suspension but he was then caught operating his motor vehicle without a valid license. Specially, he wanted to know if his license suspension would be extended. According to recent reports it is estimated that there may be over 500,000 people in Illinois who have a suspended license for a variety of reasons. If you have been arrested for driving with a suspended license this is a criminal offense, unlike other minor traffic violations such as speeding or failure to stop. Drivers who are arrested for operating a motorized vehicle with a suspended license will face a Class A misdemeanor charge. This means the penalties could include less than a year in jail and fines over $2,500. If you injured or killed another driver while driving on a suspended license you could be charged with a felony and may have to pay fines up to $25,000. Additionally, the DMV will require additional fines to reinstate your Illinois license. What should I do if my license is suspended? If you have been arrested and convicted of DUI you will be notified that your license has been suspended. 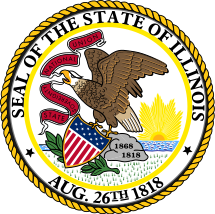 Notifications are most often done by mail by the Illinois Secretary of State (SOS). Keep in mind, if you refused to take a chemical test after a DUI arrest your license may also be suspended by the Illinois Secretary of State (SOS) in a civil proceeding which is separate from the criminal case. Refusal suspensions will be for one year but can be challenged by filing a Petition to Rescind Statutory Summary Suspension with the Clerk of the Circuit Court that has jurisdiction in the DUI case within a specified time from the date of the DUI arrest. If you have received a notice of suspension from the Secretary of State you need to stop driving until you find out more information about your suspension. If you have been arrested for DUI and refused the chemical test or if you have been convicted of DUI you should have a general understanding of why your license has been suspended, but you may need to talk to a DUI lawyer or the DMV in your state to find out more information about how to reinstate your Illinois license or if you are able to get a temporary drivers permit for driving during the suspension. If you have been arrested for driving with a suspended license you may want to talk to a lawyer. It is very likely you will face criminal charges, be required to pay fines, face jail time and have your license suspension extended.